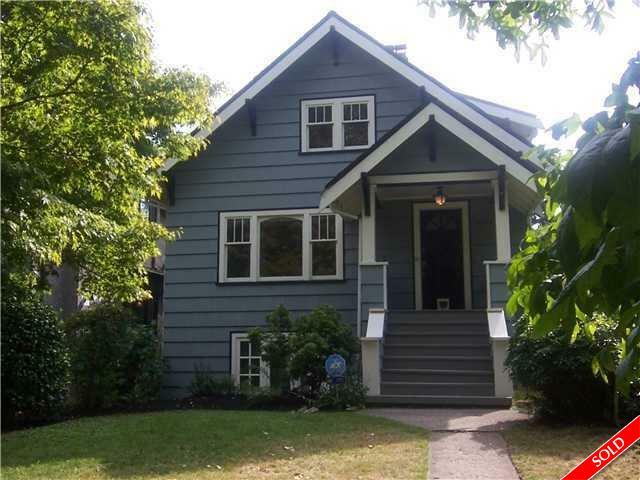 Description: Beautiful character home on possibly one of the nicest streets west of Dunbar! Main floor has hardwood floors, large living room with wood burning fireplace newer kitchen, eating area with French doors opening to a private south facings garden with separate 12'9x19'1 studio. One bedroom on main with 2 piece bath & another two spacious bedrooms up with a full bath. On the lower level there is one bedroom, living room, eating area, full bath & laundry. This is an amazing family neighbourhood close to Kitchener elementary & Lord Byng sceondary. Walk to shops & community centre on Dunbar.